Enoxaparin injectable solution is available as both a generic and brand-name drug. Brand name: Venoxtaj. 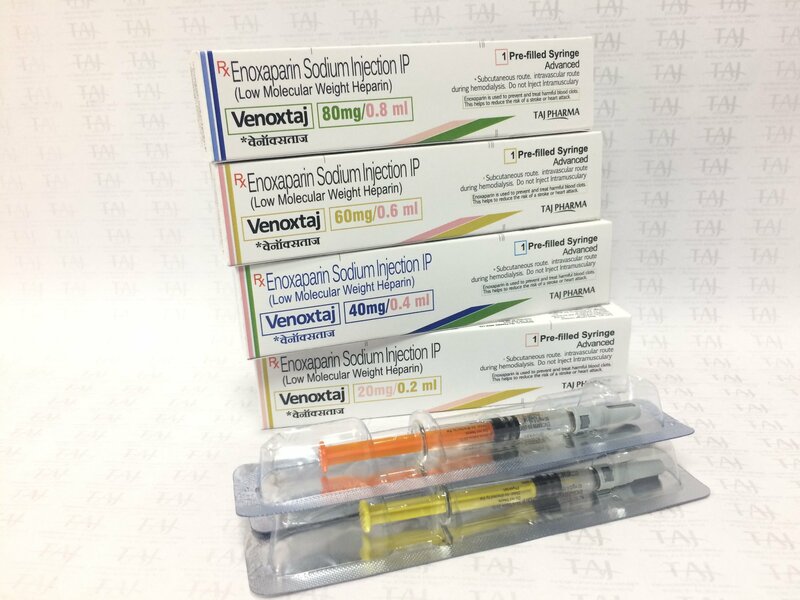 Enoxaparin injectable solution is a prescription drug that’s available as the brand-name drug VENOXTAJ. It’s also available as a generic drug. Generic drugs usually cost less. In some cases, they may not be available in every strength or form as the brand-name version. Bleeding in the spinal column: If you receive anesthesia through your spinal column or have a procedure that involves puncturing your spinal column, this drug may increase your risk of bleeding in this area. This can lead to a long-term or permanent paralysis (inability to move your legs). Your doctor should watch you closely for signs of this type of bleeding. This drug raises your risk of bleeding. This may cause nosebleeds, increased bruising, increased bleeding from cuts, bleeding from your gums after brushing or flossing your teeth, blood in your urine, or red- or black-colored stools. Tell your doctor if you have any of these symptoms. In rare cases, this drug may lower your platelets. Platelets are needed for your blood to clot. This increases your risk of bleeding even more. Your doctor will monitor your platelet level.